More than 7 in 10 Americans between the ages of 15 and 34 say Trump “doesn’t reflect my personal values, according to a new survey from The Associated Press-NORC Center for Public Affairs Research and MTV. NEW YORK – A majority of young people believe President Donald Trump is racist, dishonest and “mentally unfit” for office, according to a new survey that finds the nation’s youngest potential voters are more concerned about the Republican’s performance in the White House than older Americans. The poll from The Associated Press-NORC Center for Public Affairs Research and MTV found that just 33 percent of Americans between the ages of 15 and 34 approve of Trump’s job performance. That’s 9 points lower than all adults, who were asked the same question on a separate AP-NORC survey taken this month. The survey is the first in a series of polls designed to highlight the voices of the youngest generation of voters. The respondents, all of whom will be old enough to vote when Trump seeks re-election in 2020, represent the most diverse generation in American history. They would occupy the largest share of the electorate – if they vote at the same rate as older Americans. But history suggests they are also the least likely to vote this fall. In the 2014 midterm elections, for example, only about 20 percent of 18- to 29-year-olds cast ballots. Still, there are signs that seven months before the midterm elections, young people appear to be more engaged in politics. Nearly half of younger Americans, 47 percent, say they’re personally paying closer attention to politics since Trump’s election; 2 in 10 say they’re engaging in political activism more than before. High school students led massive protests nationwide last weekend that called for gun control in the wake of the recent school shooting in Parkland, Florida, that left 17 dead, and the poll found that young people are more focused about guns than any other issue. Twenty-one percent say the nation’s gun laws are their top concern, while 15 percent cited the economy and 8 percent said social inequality. 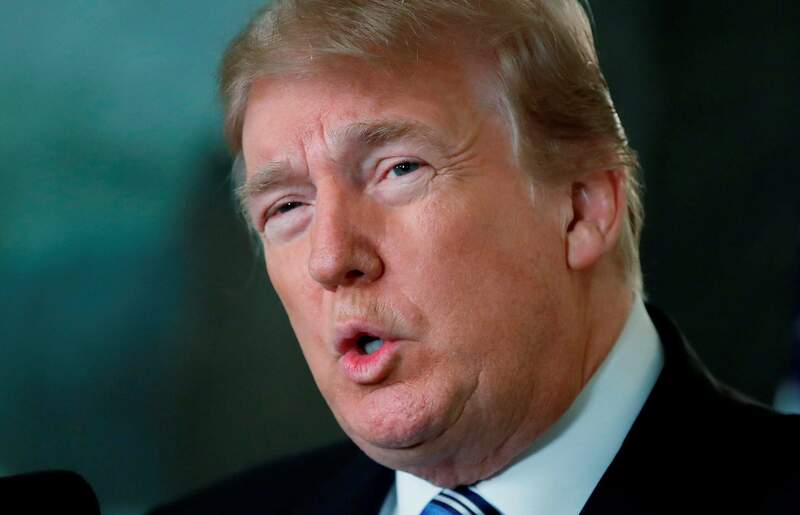 The new poll finds that 60 percent describe Trump as “mentally unfit,” 62 percent call him “generally dishonest,” and 63 percent say he “is a racist.” In a mid-February AP-NORC poll, 57 percent of all adults in the U.S. said they believe Trump is racist. The poll also found that young people overwhelmingly support watching out for minorities: 69 percent favor a pathway to legal status for immigrants brought to the country illegally as children, 59 percent favor protecting the rights of LGBT citizens, and 58 percent say the same for Muslims. 76 percent want the government to allow them to refinance student loan debt at lower rates67 percent want a health care system in which “the government provides health insurance to all Americans.”60 percent want the government to take steps to address climate change.A narrow majority, 55 percent, favor legalizing the recreational use of marijuana. Just under half, 46 percent, believe abortion should be legal “in most cases,” with 26 percent opposed.Trump’s domestic priorities are far less popular among young people. Only 22 percent favor the Republican-backed tax overhaul, while 40 percent are opposed. More than half oppose construction of a wall along the Mexican border to curb illegal immigration. Thirty-six percent want to increase defense and military spending, though just 27 percent say they’re opposed. Kristopher Cochran, 22, a conservative who voted for Trump, said he’s “neutral” about the president’s job performance so far. He suggested Trump is being treated unfairly by the media – an opinion shared by 54 percent of young Americans. Cochran, a mechanical engineering student at Virginia Tech, dismissed concerns about Trump’s mental fitness. The Youth Political Pulse poll of 1,027 young Americans age 15-34 was conducted Feb. 22 to March 9 by the AP-NORC Center and MTV. The poll was conducted using NORC’s probability-based AmeriSpeak panel, which is designed to be representative of the U.S. population. The margin of sampling error for all respondents is plus or minus 4.2 percentage points.